The stories in this haunting collection are as ancient and recent, powerful and fantastical, real and imaginary as the ghosts of myth and legend they feature. Here you will find chilling tales of long-dead Vikings, stirred by the darkness of an eclipse; a wild forest with a wicked secret in its roots; the feared cross on Gallows Hill; a restless Grey Lady forever searching for her revenge; and the killing of a dead man. 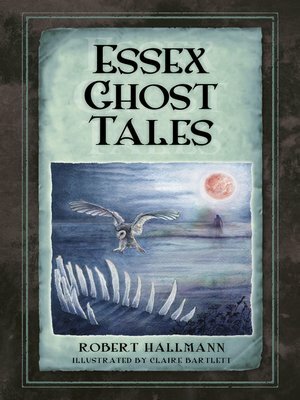 Read about phantom highwaymen; dastardly smugglers; mysterious pasts; foul murders and one-eyed strangers, all twisted into Essex's history and brought to life by noted storyteller Robert Hallmann. Richly illustrated with original drawings, these spine-tingling stories interweave fact and fiction to create perfect tales for reading under the covers on stormy nights.